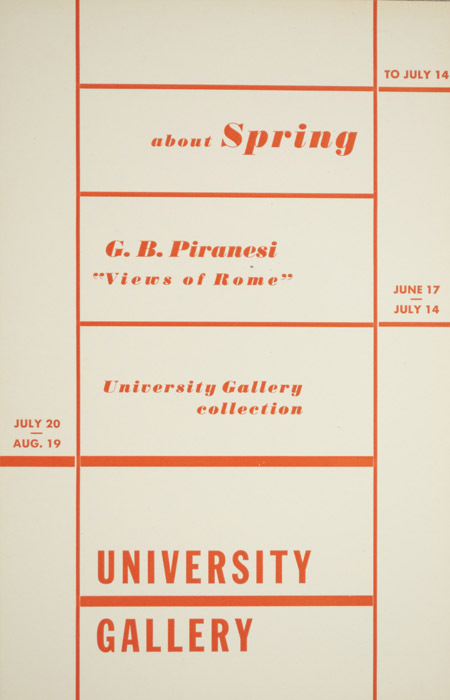 About Spring – to July 15. A group of 40 paintings, prints, and drawings from local sources are being shown in the fourth floor gallery. Landscapes, flower still lifes and other subjects related to the season are accompanied by evocative stanzas from English and American poets. Among the artists represented are: Adolf Dehn, Leon Hartl, Louis Eilshemius, Kurt Roesch, B.J.O. 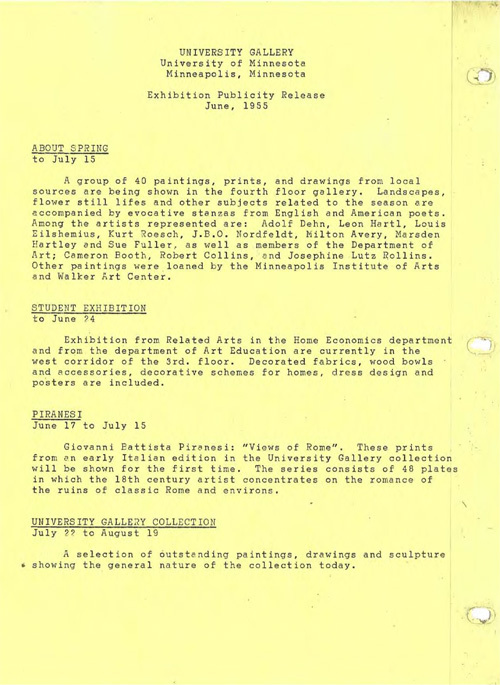 Nordfeldt, Milton Avery, Marsden Hartley, and Sue Fuller as well as members of the Department of Art: Cameron Booth, Robert Collins, and Josephine Lutz Rollins. Other paintings were loaned by the Minneapolis Institute of Art and Walker Art Center.